VOXI offers a choice of three 30-day plans, ranging from £10 to £20 per month for different amounts of data. On the lowest price £10/month plan, it’s possible to get 6GB of data. This increases to 15GB of data for £15/month and 45GB of data for £20/month. On all three plans, you’ll also receive unlimited minutes, unlimited texts and endless social data. There’s no need to undergo a credit check when signing up for VOXI. This is because the service works on a pre-paid basis. You’ll pay for each of your bundles in advance using a registered credit card or debit card. Payment will then be taken automatically each month for the following month’s plan. For any out-of-allowance usage (e.g. 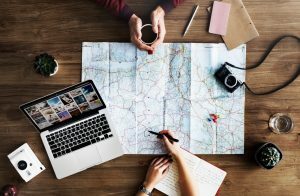 when travelling abroad outside Europe, calling special-rate phone numbers or making international phone calls), you’ll first need to top-up your account with some additional credit. Endless Social Media apps (“Social Pass”): Facebook, Instagram, Twitter, Snapchat and Pinterest. Endless Chat apps (“Chat Pass”): WhatsApp, Facebook Messenger and Viber. Data usage within these applications will not count towards your normal monthly download allowance. To benefit from endless social data, you’ll need to have an active 30-day plan. You’ll also need to have some of your data allowance remaining on that plan. If you’ve already used up your regular data allowance, you’ll lose access to endless social data. To restore it, you can pay £3 to add 1GB of extra data to your plan or you can wait until the following month when your data allowance refreshes. VOXI says they reserve the right to change the applications included in this offer. The VOXI Video Pass (£7/month) gives you endless data for use on Netflix, YouTube, Amazon Go Video, DisneyLife, My5, TVPlayer and UKTV Play. 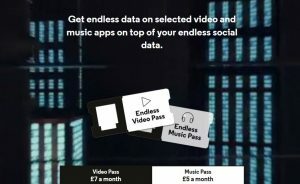 The VOXI Music Pass (£5/month) gives you endless data for use on Spotify, Apple Music, Tidal, Deezer, Soundcloud, Amazon Prime Music and Napster. If you add one of these passes to your plan, data usage within the listed applications will become zero-rated. This means it will no longer count towards your monthly download limit. The regular subscription fee for using these services will still apply and continues to be paid for separately to the service provider. VOXI works on a pre-paid basis. If you like, you can decide to opt out of the 30-day plans. When you do this, you’ll no longer be able to access the mobile internet, but you’ll still be able to make and receive phone calls and text messages. Mobile Internet Not available until you buy another 30-day bundle. For customers who decide to opt-out of the 30-day plans, your VOXI SIM card will remain active for 180 days since your last chargeable activity. After 180 days of inactivity on the SIM card, you’ll be given a warning that you’ll need to use your SIM card in the next 90 days. If more than 270 days have passed without a chargeable activity, your SIM card will be suspended and your phone number will be deleted. Any Pay As You Go credit remaining on the account will also be lost at the same time. We’d recommend against choosing VOXI if you’re looking for a traditional Pay As You Go service without the need to top-up your phone every month. There are far cheaper alternatives out there which will allow you to access the mobile internet without a 30-day bundle (e.g. 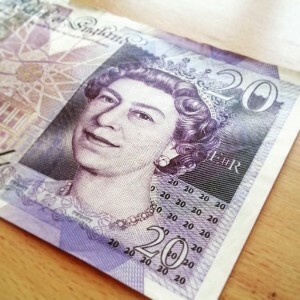 O2’s Classic Pay As You Go or Three’s 321 tariff). VOXI is often compared to the mainstream mobile networks and to other low-cost sub-brands such as giffgaff and SMARTY (giffgaff belongs to O2 and SMARTY belongs to Three). In the following section, we’ll compare VOXI’s 30-day plans against rival mobile networks. 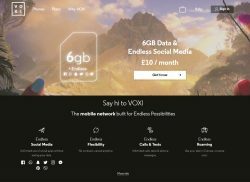 For £10/month, VOXI currently offers 6GB of data. You’ll also get unlimited minutes, unlimited texts and endless social data. At the time of writing, this compares fairly favourably to the 4GB per month you’ll get on SMARTY and to the 3GB per month you’ll get on giffgaff. However, if you’re willing to undergo a credit check and to take out a longer 12-month contract, other mobile networks may offer you slightly more data. For £15/month, VOXI offers 15GB of internet. You’ll also receive endless social data, along with unlimited UK minutes and unlimited UK texts. VOXI’s most expensive tariff costs £20/month and comes with 45GB of data, unlimited minutes, unlimited texts and endless social data. For the same monthly price, most other networks offer around 20GB of data. However, special offers on other mobile networks may sometimes allow you to get more data for the same price. For more information, please see our full comparison of SIM-only deals in the UK. There are two ways to join the VOXI mobile network. You can either get a free SIM card for your existing unlocked smartphone or you can buy a new mobile phone directly from VOXI. Most people choose to keep their existing smartphone. You can use any device providing it’s unlocked (or a handset that’s locked to Vodafone UK will also work on VOXI). You can order a free SIM card from VOXI through this link. 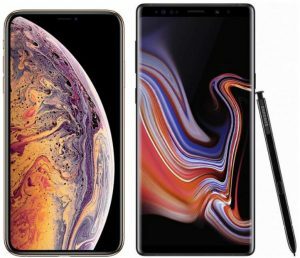 If you’re buying a mobile phone from the VOXI website, there are a selection of handsets available to buy from Apple, Huawei, Samsung and Sony. Unless you decide to pay the full cost of the handset upfront (which tends to be much more expensive at VOXI than at other SIM-free retailers), you’ll be taking a 30-month consumer credit agreement with PayPal Credit. You’ll need to undergo a credit check to use this service. If you want a new smartphone to use on VOXI, we’d strongly recommend comparing prices across the market and looking at handsets sold by other retailers as well. You can buy an unlocked smartphone from any UK retailer for use on the VOXI mobile network. VOXI is the low-cost sub-brand of the Vodafone network. 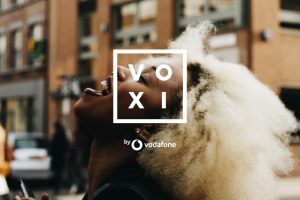 As Vodafone is the underlying coverage provider for the service, customers of VOXI will get the exact same coverage as customers on Vodafone. At the time of writing, VOXI has 98% population coverage, including 97% 4G coverage and 96% 3G coverage. Unfortunately, Wi-Fi Calling and 4G Calling are not currently available to customers on VOXI. 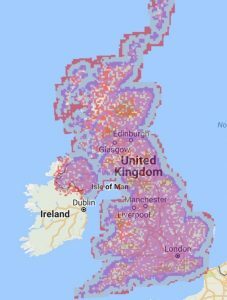 For more information, see our in-depth article on how to compare UK mobile network coverage. 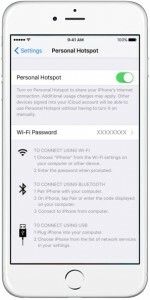 Tethering or personal hotspot refers to the process of sharing your smartphone’s internet connection with another device (e.g. with a laptop or tablet). It’s a good way to get a mobile broadband connection on other devices. Turn your VOXI mobile into a personal Wi-Fi hotspot to share your data with other devices. On VOXI, you can use your mobile phone abroad through international roaming. This is something that isn’t possible on Vodafone Basics plans making this a key attraction of choosing VOXI over Vodafone Basics. According to VOXI, 4G coverage is available in 120 countries with 2G or 3G coverage available in many others. If you’re using your mobile phone in other European destinations, you can use your normal VOXI price plan at no extra charge. This includes the endless social data and any other add-ons you’ve purchased for your plan. Meanwhile, if you’re travelling outside of Europe, extra charges will normally apply for using your VOXI price plan there. A list of the relevant charges for each country can be found on the VOXI website. If you’re currently on a different mobile network and looking to switch to VOXI, it’s a straightforward process to keep your existing phone number. To do so, start by ordering your new SIM card from the VOXI website. You’ll then need to ask your current mobile network to provide you with a PAC Code. They’ll need to provide this free of charge within 2 hours of your request. Once you’ve received and activated your new SIM card from VOXI, you should provide your PAC Code to VOXI. You can do this by submitting it through your VOXI account area. After you submit your PAC Code, your phone number will normally be transferred on the next working day. Prior to the 4th April 2019, customers had to be under 30 to join the VOXI service. This is no longer a requirement for new customers and customers of all ages can now sign up to VOXI. Between September 2017 and May 2018, only customers who were aged 25 or under could join the VOXI service. This was expanded to cover customers aged between 26 and 30 from May 2018 to April 2019, before the age restriction was entirely removed. For more information, please see the official VOXI website. You can also order a free VOXI SIM card to get started on the service. We'd love to hear your thoughts and any questions you may have. So far, we've received 31 comments from readers. You can add your own comment here. Voxi have just removed the age requirement, anyone can join now. Thanks for the heads up about this! I’ll update this review shortly to reflect that change. You should be able to activate the SIM card by logging in to VOXI’s website. You’ll need to provide some proof of age documentation, but it should be possible to submit this online without going in-store. Can i get my previous balance on my new sim card ? I’m very sorry to hear about the loss of your device. You’ll need to contact VOXI customer services for this. I imagine it should be possible for them to transfer your balance to a new SIM card as this is standard practice in the event a phone gets lost or stolen. I moved to Voxi from GiffGaff a few weeks ago and am now getting way more data at a faster speed and paying less for it, so quite honestly brilliant. Their coverage seems to be a lot better also as I no longer experience grey areas when travelling on trains etc. Customer service is decent too, I messaged them a question on Facebook and received a speedy and helpful response. Ordered a sim online and then it was a simple process to activate and port my old phone number over. Also got a £10 Amazon voucher for joining so happy customer! Why is Voxi age-ist, and how can you get away with it , in todays society?? How long does it take to activate the sim? I have topped up but still can’t use it. Thanks for your comment. It shouldn’t normally take very long to activate a VOXI SIM card (typically less than 15 minutes, but it could take longer in some situations). 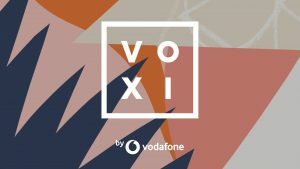 If you’re still having problems getting your SIM card activated, it’s worth reaching out to VOXI Customer Support about this. Thanks for your comment. The SIM card from VOXI can be topped up like other Pay As You Go SIM cards (there’s no need to set up a Direct Debit for VOXI). It’s likely however you’ll need to use your debit card for top-up unless he’s able to get one with his bank account. What happens when you join aged 29 then turn 30 say maybe 2 months later? Do you lose your account or what? Thanks for your comment. VOXI won’t kick you off the network as soon as you turn 30: you’re free to stay on it for as long as you like. However, if you were later to leave for another network, it won’t be possible for you to re-join VOXI. Many thanks for your comment! You’ll need to top-up by at least £10 per month if you’d like to access mobile data on your device. If you don’t top-up, you won’t be able to access the internet (though you will be able to call and text at the rates of 30p/minute and 14p/text). With regards to the data promotion, they’ve trebled the amount of data they’re offering. It was previously £10 for 2GB, £15 for 5GB and £20 for 15GB. 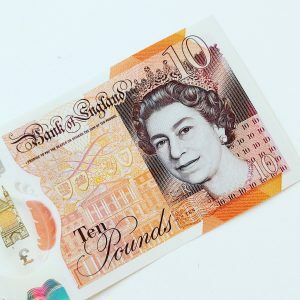 It isn’t known whether the triple data will now continue on an ongoing basis, or if they plan to reduce it back from April 2019. If you go over your inclusive allowances, data will be paused on your plan for the rest of the month. VOXI will give you the option to buy 1GB of extra data for £3, or you can simply wait until your allowances next refresh. I have to say this is the worst service I have used. My account has been locked since 20th July although VOXI have covered the cost of my sons phone, each month he is cut off then have to go through the whole process again! Was unsurprised to find this morning that I still cannot log in! This may have come out as a reply to someone else’s comment but this is where the ‘add your own comment’ took me to! Is this pay as you go? Yes, VOXI is a pre-paid service so there’s no need to undergo a credit check for it. 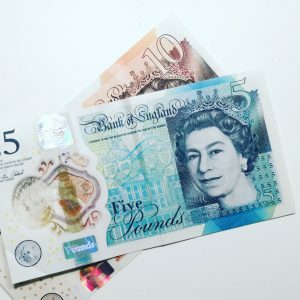 However, you will need to top-up your SIM card every month so this isn’t a traditional Pay As You Go tariff where you only pay on a per-minute, per-text and per-megabyte basis. Many thanks for your comment. There shouldn’t be a problem using your iPhone on VOXI – it sounds like the APN (Access Point Name) settings are just incorrectly configured. For information on how to fix this, see the VOXI help doc here. I was wondering if there is data capping so that if I do run out of data, I won’t be able to keep using my data and will have to call up and request more . Many thanks for your comment. Yes: VOXI works on a pre-paid basis, so it isn’t possible to run up an unexpected out-of-bundle charge. If you were to use up the entirety of your data allowance, you’d simply be cut-off until the following month or until you add more credit to the account. If I tether on a device that is using youtube for example then is it free like on my phone or does it take on my data? You can tether another mobile device or tablet to your phone, tablet or MiFi device, and enjoy the endless data from the apps included in your passes. 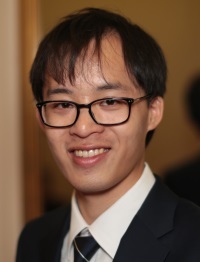 Tethering to other devices such as your video game console, TV, or through a smart device such as Chromecast, Roku, or Fire TV Stick, is not included in your passes. I think this means you should hopefully be OK, but I would certainly try it out first and check against your data allowance to make sure before going too wild! vodafone? i’d rather go without. I used the bundle, and i was satisfied by the amount of features for this price. BUT when u r out of internet you MUST use internet to top up, even if you go to their retail store they WON’T be able to top up your account. You WILL NOT be able to change your password even at voxi office, it took me a great amount of trouble changing it, because confirmation letters DID NOT arrive to my email account. Eventually i HAD TO change my sim, along with my phone number, because i WAS NOT able to top up my account. IN CONCLUSION, with voxi you get cheaper internet(compared to vodafone PayG) but in return you CAN NOT make much use of vodafone offices and retail stores, if you are looking for cheap internet it will be eventually CHEAPER and FASTER to not use voxi as your 4g/GSM provider. LAST MIN ADVICE: if you ever decide you need voxi, DEMAND that a member of the staff undergoes a full registration with you (right up to the moment when you see that your account has been successfully logged in), CHOOSE your desired username, memorable word, password, ASK to write those down for you AS YOU WILL NOT BE ABLE TO TOP UP WITHOUT THEM. Voxi is COMPLETE WASTE OF TIME! I used it for one month and wasn’t able to top up my account in the end. My account was set up in Vodafone store and I was never able to access it online. I spoke to voxi chat few times- they kept saying it will be sorted. At one point I was able to log in but couldn’t use it or top up, then it broke again. You can’t top it up with vodafone voucher either. I bought one £30 and had to return to the store for refund as I couldn’t use it( even though vodafone people who sold it said I could). Anyway this is so complicated – having pay as you go sim should be one of the easiest things these days. Don’t bother with Voxi, Just get a normal SIM card from any network.